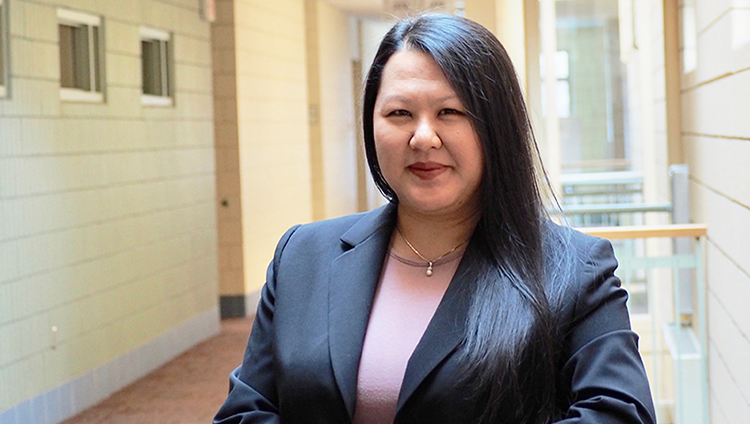 Virginia Yang and her husband recently moved back to Minnesota from California and she was hired as Neighborhood House’s new Director of Human Resources. Did you choose HR or did it choose you? HR definitely chose me. I was really interested in the medical field and always intended to become a nurse. I applied for nursing school once I finished my undergraduate degree, but there was a waiting list to enroll, so I moved on with my career and ended up working at a staffing agency as an executive recruiter (like a headhunter). I enjoyed the work of placing people at all levels of their careers, but I missed healthcare! I ended up becoming an HR manager at a home health agency for the next 11 years, and then a similar position at a food bank after that. Who influenced you over the years in your career? I had a really great boss when I worked at the home health care agency. She created an amazing culture where people were like family—I felt like going to work was like going to my second home. There was an environment where you could bring your whole self to work, and that everyone’s successes were celebrated, not just one or two individuals. During those 11 years, the staff became very close—we were there for each other for all of our personal and professional milestones. We all appreciated each other and worked really hard to be successful. While I am my own person, I do incorporate some of the things I learned from her. Why did the work of Neighborhood House interest you? The mission of Neighborhood House appealed to me and it resonated with me personally to work with another organization who helped families struggling with hunger. My parents grew up in refugee camps in Thailand, where there was no opportunity for schooling and no food. The family moved to St. Paul and I grew up in the Mount Airy area, near the capitol. I had a regular, happy childhood; some of my favorite memories were watching the fireworks on the Fourth of July, playing outdoors, building forts, things like that. And while I was not aware of it, my family was struggling financially, but we never went without. We received assistance and sometimes went to food pantries, and we always had a garden and ate and sold what we grew. We always had presents under the tree, as my parents stood in line to collect Christmas gifts from different agencies. I’m not sure what would have happened to me if we hadn’t had that help. My parents always instilled in us to remember our history, to make better choices, and that we were responsible to change our communities and the world that we live in. I’m very proud of my family.